What is a UPS Battery Capacitor? One of the most critical power elements of any data center is its UPS (Uninterruptible Power Supply). There are many different types of UPS systems but, generally, they all rely on a battery to provide the power needed should a data center power interruption occur. Because of this, data center UPS batteries must be regularly checked and maintained to ensure that they work when they are needed. 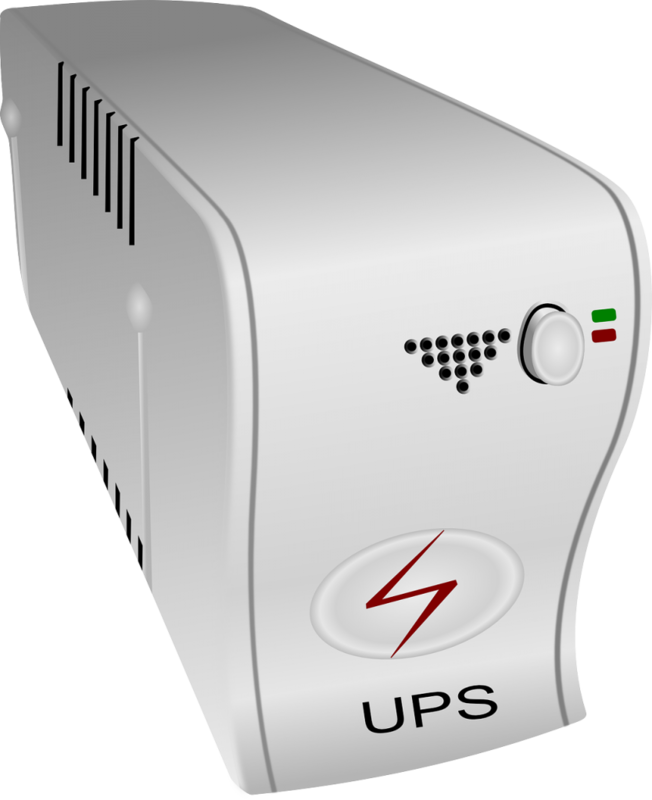 There are different components of a UPS battery that influence its ability to properly work. One part of a UPS battery – the UPS battery capacitor – must be replaced as needed for the UPS battery to be able to work. Eaton explains what a UPS battery capacitor is and why it is so important, “A capacitor is a fairly simple electrical device that stores and releases electrical energy. These devices can be as small as your thumbnail or as large as a soda can — depending on the amount of voltage they’re expected to digest (their rated capacity). Generally encased in aluminum or chromium-plated cylinders, capacitors contain a pair of conducting surfaces (often metallic plates or electrodes) which are separated and insulated by a third element, called the dielectric medium. Why Is a Deteriorating or Failing UPS Battery Capacitor a Problem? A deteriorating UPS battery capacitor may not always be obvious until there is a problem. The last thing you want to do is be unaware of the problem and leave your critical equipment unprotected. Because of this, it is critical that data center managers and technicians uphold a regular maintenance schedule. UPS capacitors can be tested, removed, and replaced individually as needed. A capacitor has a typical shelf life of about 5-8 years. But, the actual life of service provided by your capacitors will vary greatly depending on a wide array of factors such as heat, usage, etc. All UPS capacitors are designed to last a certain length of time but while the manufacturer may say they last a certain length of time it is important to understand that there are two other lifespans for UPS capacitors: effective lifespan and average lifespan. The average lifespan shows a more accurate picture of how long a UPS capacitor lasts in real life situations. The effective lifespan is the average lifespan at which a UPS capacitor will provide fully effective, undiminished service to the UPS battery. All UPS batteries have multiple capacitors but the number of capacitors will depend on the specific battery size. UPS battery capacitors generally work together in tandem. That means that if one capacitor fails the others take over for it and it can be challenging to know which one has failed or to even notice right away. Though a single UPS battery capacitor failure may not completely take you UPS down it will impact the UPS battery performance and ultimately could impact the quality and amount of power available should a power failure occur. To prevent UPS battery capacitor failure it is important to properly maintain ambient conditions within the data center as well as regularly maintain your data center. A comprehensive and consistent data center infrastructure management (DCIM) program is the best way to protect mission critical data center equipment including the UPS system. Battery Power Online elaborates on why having a proactive capacitor replacement program in place is incredibly important for any data center, “However, ensuring battery health by itself isn’t the only factor affecting system uptime. UPS systems also contain large banks of both DC electrolytic and AC polymeric film capacitors that degrade with time. The function of capacitors within the UPS is to filter out electrical fluctuations and provide clean power to the equipment being protected. They are not static electrical components that operate in a circuit. Their design life is a mathematical function of manufacturers’ rated voltage, the voltage actually applied, the current running through them, ambient temperature, and thermal resistance. For all practical purposes, estimating service life would be based on manufacturers’ rated voltage combined with the device’s operating temperature. Over time, even under the most favorable operating conditions, capacitors’ ability to withstand voltage and pressure changes diminish. Adverse operating conditions like excessive current and heat, along with overwork, can accelerate the process considerably. Capacitor failure modes are hard to predict. Sometimes they fail catastrophically, but most of the time, they simply degrade with age. Aging capacitors can contribute to the degradation of batteries and shorten their useful life. But replacement, with original equipment manufacturer (OEM) parts, will help ensure a longer mean time between failures (MTBF) of the UPS and optimize battery life. Battery abnormalities that go undetected, or those that are not properly diagnosed and corrected, can have catastrophic consequences in the data center including costly downtime. Along with helping you establish a regular battery maintenance program, a trusted service provider can set up, maintain and integrate an on-site battery spares cabinet. This solution offers IT and facility managers added peace of mind knowing that fully-charged, ready-to-install batteries are on hand. Additionally, a proactive capacitor replacement program can be established based on equipment age, operating conditions and time of last replacement. However, a replacement program for capacitors based on an experienced service provider’s historical field data is the most reliable way to plan an ideal replacement time, and ensure a healthy backup power system that is able to support business-critical operations when it’s needed. Because UPS battery capacitors are considered a ‘consumable’ and will naturally degrade over time, regular maintenance and replacement is an important component of proper r data center UPS maintenance. Most data centers (and businesses in general) are doing everything in their power to maximize uptime. Power redundancy is key to maximizing reliable and consistent power supply and that means that you need a reliable UPS system that does not fail when it is needed. APC lists capacitor failure as one of the 5 most common causes of UPS failure and that simply points to a strong need to proactively maintain and replace UPS battery capacitors. In fact, APC notes that even small adjustments to ambient conditions can help you maximize capacitor life, “Every 10°C (18°F) decrease in temperature doubles capacitor life, so ensure that customers monitor environmental temperature and keep it within the specified range to improve life expectancy.” Consistent monitoring will help ensure ambient conditions are maintained. And, consistent maintenance will help ensure that you are able to check and see when capacitors are reaching the end of their lifespan or require replacement before it impacts the performance of your data center UPS system. This entry was posted in Back-up Power Industry, Data Center Battery, data center equipment, Data Center Infrastructure Management, data center maintenance, DCIM, Facility Maintenance, Mission Critical Industry, Power Management, Uninterruptible Power Supply, UPS Maintenance and tagged computer room maintenance, Data Center, data center design, data center equipment, data center facility services, Emergency Power Systems, Mission Critical, Uninterruptible Power Supply, Uninterruptible Power Systems, UPS Batteries, UPS maintenance, UPS Systems. Bookmark the permalink.